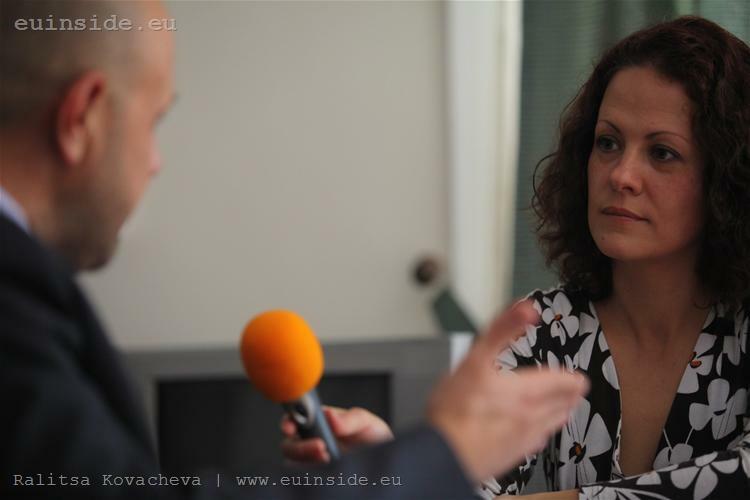 Bulgaria is preparing to begin absorbing funds as early as of 2014 from the EU 2014-2020 budget, the negotiations on which are now entering a decisive phase, the country's Minister for EU Funds Management Tomislav Donchev told euinside in an interview. The country could enter the next programming period with 99% satisfied ex ante conditions, except for "one or two really difficult areas" that will remain to be prepared in 2014-2016, he said, declining to specify which areas are those. The Bulgarian authorities are currently working on a proposal the units managing EU funding to have a special status. They will continue to be part of the public sector, but will be "slightly away" from the routine administrations of the ministries. 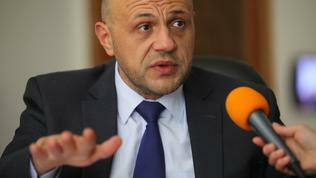 Moreover, Minister Donchev asked, why not these units be given even status of executive agencies. This, he said, will give them more flexibility, as the status of civil servants implies many restrictions. It is also planed the number of projects that will be determined on a competitive basis to be limited. "We all believe in competition, competition allows the best to be on top, but when it comes to public institutions, let us not forget that competition must have some limits," Minister Donchev said and explained that the goal was smaller municipalities not be ignored and be able to get projects. He again insisted the funds for the Cohesion Policy not be reduced. If the total 2014-2020 budget has to be reduced, as many member states have urged, then the more reasonable option, in Tomislav Donchev's view, would be to cut the other policies as well, not only the cohesion policy. In support of this assertion, he quoted one of his fellow ministers in the Council as saying that we cannot have more Europe for less money. You can watch the entire interview with Minister Donchev in the video file. euinside: Mr Minister, the Cypriot EU Presidency presented a revised negotiating box for the next seven-year budget. There were very mixed reactions at the latest discussion within the General Affairs Council, could you summarise the good and bad news in these changes? 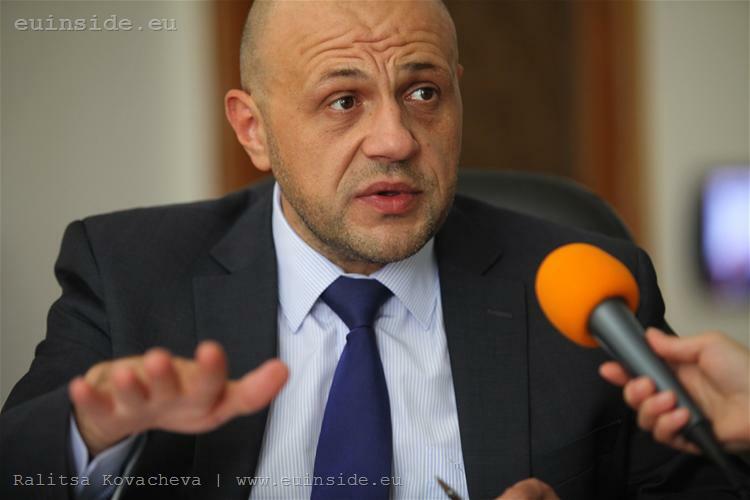 Tomislav Donchev: The situation is dynamic. We have reason to always look for good and bad news. There are two focuses of this debate, this is not some kind of specifics of the Cypriot presidency, this is a topic from the last year. There are two main issues - one is related to the question of "how much", how much money. There is no way this question not to be among the main questions, since it will determine the contributions of the donor countries and the money that will go to the beneficiary countries. Of course, the beneficiary countries have contributions too. The other question is "how", which is no less important, because everyone well know the initial Commission proposal for the package of regulations contained extremely serious reform of the cohesion policy, which is considered ambiguously by the member states. These are the two issues and here we have news for both. It is another question how can these pieces of news be characterised. Let's start with the question "how much". The fact is that there is a proposal by the group of donor countries, or "Friends of better spending", for budget cuts. Of course, many political arguments could be found for this, the pressure on public budgets, this is happening, we have to be honest. Many have raised the issue of how effective is the cohesion policy and what results it delivers. Having in mind, for example, the history of the last twenty years - especially the problems we have in Southern Europe. Here is a reason for such a political argument - we have invested billions in these countries and now again someone is needed to engage in helping them, although in another way, in saving their budgets. Unfortunately, this argument sometimes works. Of course, it contains an internal contradiction. If you look, for example, at Barroso's September speech of last year, if you look at the Europe 2020 strategy, if you look at the messages of key politicians at European level - they all are in the direction that we need more connected, more coordinated Europe, acting as a union, not as a mechanical sum of individual countries. There is no instrument, other than cohesion policy at EU level, to invest in Europe to be more connected, more competitive, to meet the same standards. And this is the strongest counterargument, both in formal negotiations and the talks on the sidelines, when the issue of budget cuts is raised. Of course, Bulgaria is against such an initiative and it is not related only to the consumerist perspective of a country that receives funding. Let me remind you that a major part of the funds invested here, beside benefiting Bulgarian citizens, they also provide concrete benefits for all donor countries. Cohesion policy is the art of using this type of investment to seek shared benefits for all countries. I will give you a concrete example - a new transport link - be it road or railway - undoubtedly serves Bulgarian citizens and undoubtedly contributes to the regional development of the country, but it often serves even more the international traffic. These are goods produced in the factories of our partners, these are tourists, who come to spend their holidays in Bulgaria or, why not, Bulgarian tourists travelling to another partner country. euinside: But donor countries stated very clearly during the meeting on Monday [24 September] that they were deeply concerned with the removal of the so-called "reverse safety net", you will explain what this means. And that it could not be the case these countries were given less money only because they were rich and had economic growth, they were adamant. Tomislav Donchev: It is a fact, I would even comment that there are countries who meet with great dissatisfaction the removal of the reverse safety net mechanism at this stage. I would even say that it would not be a surprise to have a new initiative for it to be restored as a mechanism to limit funding received by a country. Without going into too much technical details, we have two mechanisms that determine the ceiling of funding: one is the so called "capping" or the ceiling (the specific value as proposed at the time is 2.5 percent of GDP), the other is the reverse safety net that exposes to a large extend the funds used in a segment of the current period. For us, this proposed mechanism is not completely clear and I think it could lead to limitation of funds in the future. From that perspective, I've described above, we do not consider cohesion policy as a charity and resources that we need as an injection, but we see it as an opportunity to make investments that deliver shared benefits, we find no reason to reduce the budget, especially in terms of cohesion policy. If you we talk about budget cuts at all, if this is necessary, if there are difficulties among our colleagues and partners, a much more reasonable option is to distribute a possible reduction relatively evenly among other types of policies, not only the Cohesion Policy. A colleague of mine, a minister of a member state, has a very nice phrase: you cannot have more Europe for less money. euinside: Yes, but it also became clear that France, Germany, Austria and other countries were adamant that, yes, on the one hand, the costs should be reduced in terms of all items, but on the other - without touching the Common Agricultural Policy (CAP), which puts a stumbling block as of now. Tomislav Donchev: I would call it a stumbling block too – there are too much conditionalities, I mean the concerns, the positions of Member States at national level. Then – the different attitudes to different policies. The Bulgarian position is, as I have described it above, and I think we have very strong arguments, as part of the proposals expressed by Bulgarian representatives in oral and written form. I also believe that most of the projects currently being implemented in Bulgaria can be a very strong argument why does this system work - how, thanks to a reasonable way of investment, we can achieve shared benefits. This is the art of cohesion policy - searching for shared benefits. And I think that it is a wrong understanding of things if cohesion policy is perceived only as the calculation how much money come out of a country and how much money come into another, because at least the entry of funds is very relative. In addition to the shared benefits, I would remind you that we are working on a liberal market where limitations in terms of nationality of the companies are not allowed. I'll remind you that most of the orders, especially related to complex technical infrastructure, in Bulgaria are performed by companies from our partner member states. And this is completely normal. This will be the case until Bulgarian companies gain more experience and are able to offer competitive terms. Let's have this in mind when commenting on the funds allocated to an individual country under the Cohesion Policy. But let me go to the second issue, because the question of "how much" is not the only question. And if there is a big issue in this debate, in my view it is the debate on the reform, not necessarily the size of the budget. Incidentally, in a historical perspective, almost the same talks took place in negotiations years ago. This is not something new and surprising. What is far more innovative, and I think here we have a really new element, a new challenge in formulating policies, is the attempt the cohesion policy to have added value, which is very different from the purpose and focus it had so far. We well know the historical and economic reasons - it is a tool to reduce the differences not just as a snapshot, but directly addressing structural prerequisites for a country to be poorer or richer than another. Logically, this should be a limited time investment process that removes all restrictions for a state located in the periphery of Europe in geographical terms, to have chances to be as rich soon, as developed and as advanced as most of the old member states. Now, however, cohesion policy is being charged with other commitments. First, it is its role of a tool to ensure fiscal stability in the member states. For me this is a change in the right direction and I think this argument deserves the same support from both the old and new member states, the net donors and net beneficiaries. I think it would work particularly well among the net donors who provide a large part of the budget. I will not explain the political context for such a proposal, it is obvious given everything that has been happening in Europe in recent years. What is more interesting to me is the attempt the cohesion policy to become a tool for faster implementation of reforms in key areas. Thanks to the so-called 'ex ante conditionality' the Cohesion Policy today is a tool ensuring that European money will be spent only there and only in those areas where reforms are implemented, moreover with the necessary speed. Whatever reservations might exist, related to the technical part of the proposal, I mean for example the texts of the common regulation, in political terms this is a movement in the right direction. Namely, the European money, as an vanguard tool for modernisation of countries and cohesion, should be an example of how unreformed sectors should not be financed. And how the money should follow reform that has been made or in the better case - to drive the implementation of reforms. Of course, an actual question is that such approach is more or less separative, because such a requirement affects areas that are funded with European money. Incidentally, in a country like Bulgaria, those are a significant number of areas in the public sector. I believe that such a proposal, although there is an element of external coercion, and the element of coercion is that this state, which does not progress in terms of application of the common regulation (there is a detailed list of documents, legislation pending adoption) will lose the opportunity to use funding in the concerned sector after 2016. Yes, there is definitely an element of external coercion. But the practise shows, especially in new member states, that such external coercion, call it motivation factor or additional tool, often leads to better results. And we all know that development policies sometimes have a dark side, some patience is needed, a couple of years of continuous efforts and investments, to get good results. It cannot be commented as a political board in regard to every member state, but I think it is a good tool to intensify reforms, not only in Bulgaria. euinside: All this you're saying, a lot of it is part of the reasoning of the Commission to propose it and of the donor countries to support it, but in contrast there is resistance, mainly on behalf of the beneficiaries. Some days ago we took part in a public discussion where you said something that I found very good - that it would be a fair deal between donors and beneficiaries if the reform was adopted in almost full volume in return for preserving the volume of funding. Do you think such a fair deal is a realistic option? Tomislav Donchev: This is, of course, too simplistically said, but I think that countries that want to maintain a similar amount of the budget, using arguments like those I have presented, should offer their full support for the reform of cohesion policy, not as a bargaining chip but as belief in the right direction. Incidentally, I've had the opportunity to discuss exactly what we called a ‘fair deal’ with colleagues from other countries and with President Barroso. They all believe that similar approach is acceptable, I hope this is the mechanism that will lead to good results - support for the reform and at the same time - keeping almost the same the size of the budget. 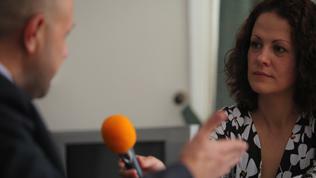 euinside: Let's go to the Bulgarian perspective for a while. Provided that the conditions are still in motion, they are yet to be agreed and the outcome is not very clear, can Bulgaria meanwhile start preparing itself and what is this preparation for the next period? Tomislav Donchev: If we wait for the final version of the regulations to be adopted in order to start preparing, it will be too late. Since the end of last year, specific steps have been taken in preparation for the next programming period and such a process runs on many levels. Starting from the highest level related to the preparation of the partnership contract with the European Commission, which will replace the National Strategic Reference Framework (NSRF), a working group has been formed, a series of meetings have been held with experts from all departments, together with representatives of NGOs, we discuss each part and every step of the preparation of the contract. The preparation of the majority of operational programmes is also on track, only for two financial instruments the formation of a working group has not been formally declared. And at the same time, at a very concrete technical level, the process is already running for the preparation of the technical projects to be implemented in the next programming period. However, besides the preparation of projects, we have to realise that this is a new mobilisation of the entire statal machine, especially when we talk about our readiness concerning the ex ante conditionality. It is not enough the ministers concerned and officials in the relevant ministries to know what the requirements are and it wouldn't be in anyway constructive to say, well, eventually the deadline to assess, if we have fulfilled these preconditions, is 2016. No, such an approach will not be applied. Already in August, there was a government decision which not only approved the list of ex ante conditionalities, but pointed to the responsibilities of every ministry in terms of a specific condition and a certain deadline when each of the departments should be ready with the implementation of its commitments, as the progress is monitored very carefully by me and my team. I hope we will enter the next programming period with a vast majority, perhaps 98-99%, of the conditions met, only maybe one or two really heavy areas, where more time is needed to prepare the documentation, will remain to be prepared in 2014-2016.
euinside: Would you specify which areas are those? 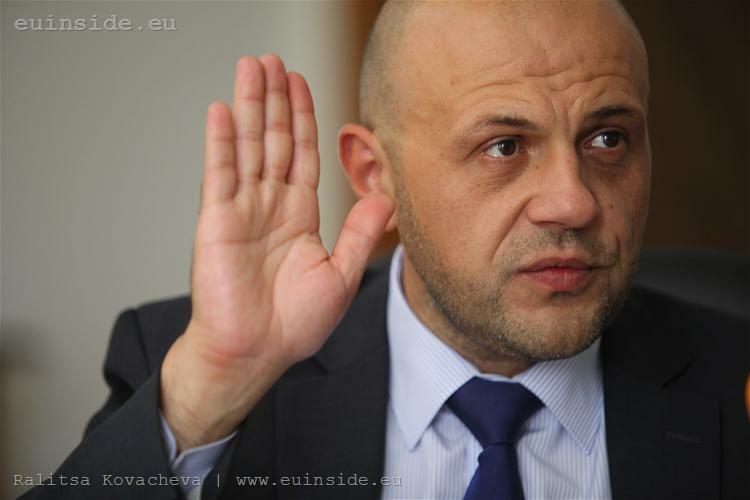 Tomislav Donchev: I do not want to comment at the moment, but I do not expect them to be more than a minimum number - one or two. The vast majority of ex ante conditions must be met on 1 January 2014, when we enter the next programming period. To that end, the necessary organisation is in place. In parallel with that, let's call it more or less political preparation, in parallel with the preparation of projects, in parallel with the preparation of the entire system to work under new conditions, let's not forget that some institutional transformation of the system will be needed. The proposal was adopted, it must be regulated by the law currently being prepared, aimed at giving the managing EU funding units a little bit more special status. They will continue to be part of the public sector, but slightly away from the routine administration of the ministries, for example - why not having the statute of executive agencies. One such moment gives much more flexibility because the status of civil servants suggests many restrictions that do not work, when you work in such a flexible and dynamic area like the management of European money. euinside: Does this change your functions or those of your ministry? Tomislav Donchev: Central coordination is a separate issue that we can comment later. I have just commented on the efforts to have secure, stable governing bodies and one more issue - the status of the regional units. You know my position, I think that as many processes as possible must be transferred at regional level in order to put the main focus not only on documentary work, the main focus to be where things are really happening, where something is being built and where, for example, a vocational training course is being conducted. I want the experts, who are responsible including for verification of costs, to be closer to where things are happening, and not only to tick off positions in their report. euinside: Isn't it a bit bold desire, having in mind, for example, the Polish experience how long it took the central government to teach local authorities to dare to take, as Europeans like to say, the ownership of programmes? Isn’t it a too big leap, in view of all this innovation, and in addition - the local authorities to assume such a responsibility? euinside: OK, the regional authorities. Tomislav Donchev: It's not about local authorities, it is about deconcentrated state structures. Two things should be noted. First, this is not the most radical version of reform, surely there were more radical ones, it is more or less a compromise version, in the first place. Second, let's not forget that we already have some experience, we have been keeping such units for four-five years now and they have similar responsibilities. The only thing we are commenting on is that they should be strengthened. There are established regional operating units under operational programmes "Regional Development" and "Competitiveness" that take the responsibility, for example, related to examine documentation. I think there should be further efforts and their functions and powers to be more serious. It would be better for everyone. It will ensure better control, it will be better for beneficiaries to have an expert nearby, who is available and whom they can ask. And besides, let's not forget, the main function is qualitative and lawful implementation of projects, in addition to control we also have to help. The presence of people on the ground is an additional opportunity in this direction. But this is not the only element of the change. We have many lessons learned from this programming period: how to work faster, how to keep the system clean, how to keep good control over the system. One of the lessons learned is the serious need for an integrated approach. We cannot afford repair a school building and leave the sidewalk next to it in bad condition. We cannot afford to put asphalt and rehabilitate a street and the pipes below not to be fixed. Also, we cannot afford to change the underground infrastructure, in compliance with all environmental and not only environmental requirements, and the street above to be in a desperate condition. We need integrated investment, which is not just a matter of desire, it requires complex organisation. Especially for large agglomerations, those who will be beneficiaries of OP "Regional Development", such an important step has already been done or is currently being done - the integrated plans for urban regeneration and development that will be the constitution namely of those integrated investments. They will be the guideline for the so-called predefined projects. It is no secret that we want to limit the number of projects that are determined on a competitive basis, when it comes to public institutions. We all believe in competition, competition allows the best to be on top, but when it comes to public institutions, let us not forget that competition must have some limits. Otherwise weaker municipalities, such as those of northwestern Bulgaria, they have several times less contracts and paid funds, and their citizens are suffering. Better prepared municipalities, with faster and I would even say aggressive administrations, that manage to attract much more funding. It's good for them, but it is not always good for the balanced regional development. So, a package with predefined projects largely gives the local authorities certainty and clarity in terms of what will be realised, it gives them a sure sign that they can start preparing technical projects. It would certainly be a better balance in the regional development and would guarantee a much faster start. euinside: Well, to conclude, what you are saying sounds very well, you are speaking of lessons, but what is not clear at this stage is to what extent is there readiness for this to happen, especially at regional and local level. And my second question is, you said during the discussion I mentioned that there would be mainly predefined projects, to what extent is everyone prepared to think in the way you have explained - in terms of integrated projects, conceptually, seven years ahead and could it be the case Bulgaria to enter the new period with a shortage of projects? 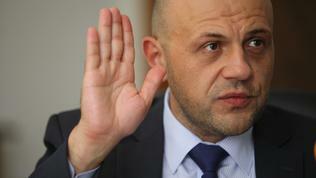 Tomislav Donchev: We are not commenting on things that are a subject of desire. We are commenting on things that are happening. All the things I commented are in process – the preparation of the relevant operational programmes, the preparation of the contract, including this exercise, which is more at a technical level, preparation of the integrated urban regeneration and development plans. Most municipalities have assigned these plans and they are being prepared right now. We are not speaking of desire, we are speaking of a process. And to what extent are local authorities prepared, and not only the local ones but also the regional authorities, to formulate the best policies? As Commissioner Hahn [Johannes Hahn, EU Commissioner for Regional Policy] says, this brilliant policy mix or combination of different types of policies, which is the formula of growth. I cannot be sure that we will have brilliant results everywhere. What I am sure of is that we will be much better than in the first programming period. We will be much better for sure. In years past, as I said, many lessons have been learned, as lessons related to achievements so lessons related to mistakes. I believe that the people working in the Bulgarian administration and politics are not stupid, they can learn from the whole experience from the past five years and I am convinced the new programming period will start not only better, but faster. I want already in 2014 that we start absorbing funds, and not, as in this programming period, nearly two years after its launch. This would mean that between this and the next programming period a window of less investment will be formed and we cannot allow such a thing. By no means! We're doomed, we're obliged, we owe it as to our European partners so to the Bulgarian citizens - to have a quick start. And we are making every effort to that end. euinside: Thank you, Mr Minister!